Could Munster Be Facing A Dilemma At Outhalf? Just three games into the new season and we’ve already seen Munster’s assured, clinical best mixed with some slightly muddier moments. Top of the table with 14 points, you would think Munster supporters really shouldn’t have much to moan about. Well, it doesn’t quite turn out that way. You see, you don’t just take these early-season matches for what they’re worth. There’s always that greater picture. Every performance and individual display is under scrutiny. Does he look like a man who will do the business when the Champions Cup comes around? Do early signs suggest we can break our 7 year wait for a league title? What improvements have we made since last season? And so far many of such boxes have been ticked. Rassie has gotten three results that he would have hoped for and Ospreys game aside, the kind of performances he would have hoped for too. Young players have stood up to the mark with aplomb, the team has added an extra dimension to their attack and the defence has remained typically tough to break down. Where there may be cause for concern however, is in the shirt of the most important man on the field. In the number ten shirt. On the evidence of two matches, Tyler Bleyendaal is a man terribly out of form. Harsh? Maybe. But it’s definitely a point worth discussing. Flashback to last October. The New Zealander has finally gotten through his severe injury torment, gets his fitness up to full speed in the Pro12 and peaks on the most wonderful of rugby occasions. Bleyendaal, in the words of Miles Harrison, was “blessed by the rugby gods” against Glasgow Warriors that day. Flawless from the tee, on the try-sheet and named Man Of The Match – it doesn’t get much better than that. Yet Tyler’s form would continue throughout the rest of the pool stage as Munster blossomed in a purple patch of a lifetime following the passing of Anthony Foley. However, as that special time in Munster history came full circle, business had to resume. Foley is forever in the hearts, but there came a time when cool was needed in the head. 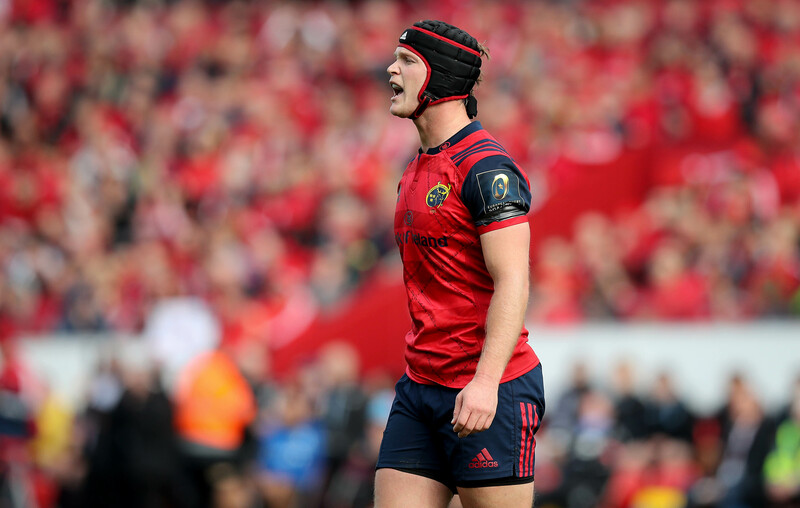 Without let-up, Munster were challenged with the task of going from playing in their coach’s honour to playing under the sheer sporting pressure that comes with semi-finals. That was when things for Tyler took a turn. His handling of pressure was questioned by his supporters and even his coach. Outside of that purple patch, it has to be said that Bleyendaal’s performances have regularly dipped in “pressure games.” Prime examples being Leinster in the Aviva, Leinster at Thomond Park, Scarlets in the Pro12 Final and especially against Saracens in the Champions Cup semi-final. In an ideal world your outhalf is the guy who sticks out his chest, takes authority and drives his teammates forward on the big day. That didn’t happen but it’s forgivable. Those games were the first of such enormous pressure in his career. 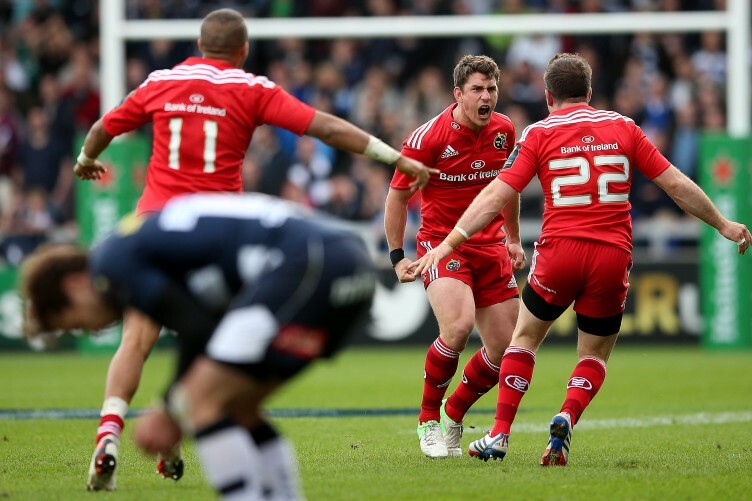 Even Ronan O’Gara had to suffer likewise disappointment – it’s a learning curve. It was however always going to be remarkably interesting to see how Bleyendaal responds to his shortcomings. Could his performances have formed some clouds of doubt in his head? Will he be a lesser player with less confidence? Or will he bounce back as a steelier, wiser operator and the big-game player Munster Rugby needs. Unfortunately, early signs don’t paint the positive picture we were all hoping for. The Canterbury-born ten failed to demonstrate the gulf in class between himself and his Treviso opponents in round one, missing four kicks along the way before putting in another stinker of a performance at the Liberty Stadium at the weekend. Is this a man fractured by self-doubt following a poor end to last season, or is it just a slow start? If we’re to follow up on the first suggestion. There is a massive worry for the Munster coaching staff to contend with. If Bleyendaal is in short supply of the confidence that it would seem he needs to go out and perform well on a Saturday, there may be a larger issue staring us in the eye. Is this the middle of a cycle, à la Ian Keatley’s form of two seasons ago? Keatley hasn’t been the same player since falling into a poor run of form in 2015. We all hope Tyler can turn this around and prove us doubters wrong, but early signs are less than promising. If he isn’t the answer will it take JJ Hanrahan to lead the men in red to success? Will youth be given it’s turn? Or could Ian Keatley turn himself around and rediscover the kind of confidence that Bleyendaal felt last season? Form is temporary, class is permanent. Munster needs an outhalf who can back himself on every occasion. If you can prove yourself that man, please stand up.